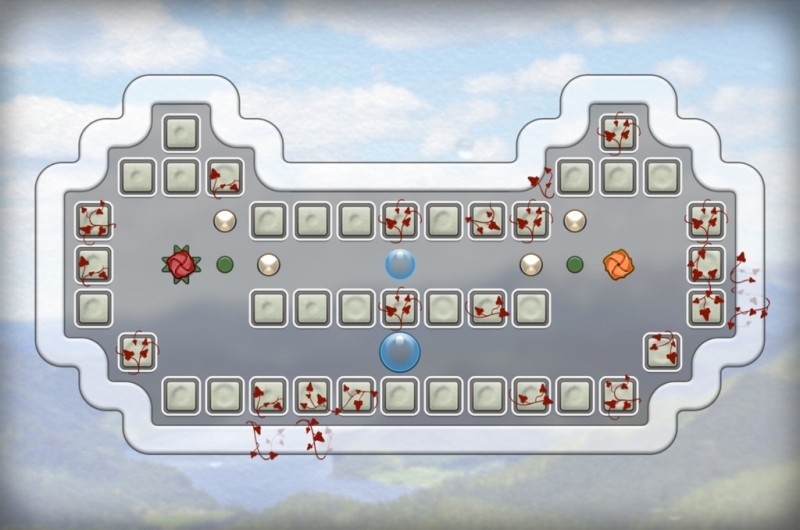 Our guide to this elegant and challenging puzzle game. We had high praise for Quell Memento when we reviewed the game on Friday, and we highly recommend it to any puzzle fun who fancies a little more variety from their mobile puzzle gaming. Since publishing our review, we've put our thinking caps on to bring you some useful hints and tips for this magnificent game. - Be very careful how you approach frozen ice cubes in the game. You'll only get to nestle against them once - a further bombardment will destroy them entirely. If you need to make use of them to bounce towards an objective, try working backwards from the cube to establish the best approach. - You'll often need to push male and female sign blocks together to make them disappear, but not always. Sometimes you're going to need to push one into place, so that you can come to a stop at its location, and head on from there. - Once you've run over a green dot, a barrier will spring up in its place and you won't be able to return over it. Annoying? Well, sometimes those can give you very clear clues about what not to do in the early stages, when the puzzle appears its most complex. Get used to using these dots as markers for separating the puzzle into smaller, easier components. - If you run over a gold dot in a level, the orb will turn gold and paint the walls it passes by with the same color. If you have two orbs to control, and one of them can't help but turn gold, that's a big clue that you need to deal with that orb's path first, then recolor the walls with the remaining orb. Again, just look for these little clues that help you break a puzzle down into more manageable parts. 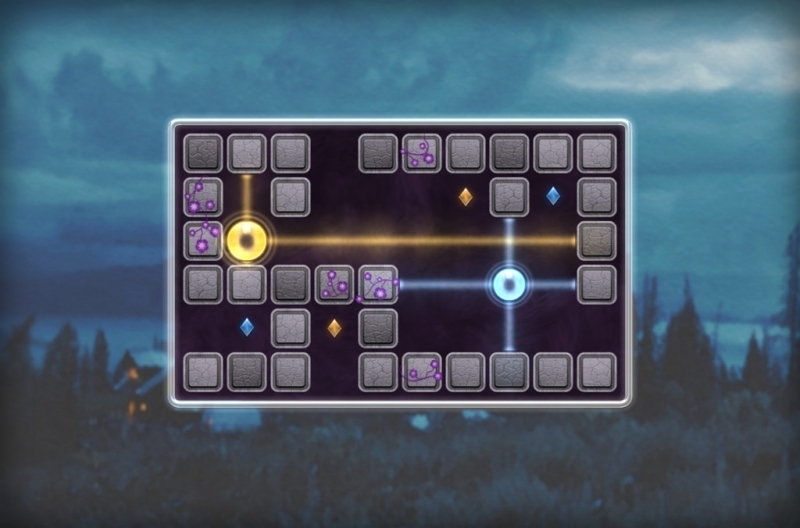 - In the Ray of Light collection of puzzles, you're going to need to position the orbs that are available carefully, so that the light they emit touches all of the unlit gems on the screen. If you're struggling to find the right placement spot, it's worth using some of the currency you've earned to have it marked with an 'x' on the screen. That way it's not a complete spoiler, but does give you just a little guidance towards the correct solution. - Sometimes you'll need to unintuitively back-track to complete a level within the ideal number of moves. Concentrate at first on solving a puzzle by any means necessary, then head back in to see if you can refine your solution a little, and bring the number of moves down. - When you're given two orbs in a level, more often than not you need to keep both alive to get the job done. Note, however, that as long as you collect every last pearl, it doesn't matter how many orbs make it to the end. Don't be afraid to sacrifice one - or even all - of your orbs if it will help get the job done.